Why El Greco Cosmetics Beard Hair and Body Oil. Beard Hair and Body Oil is one of our new products that we launched recently. Our Beard hair and body Oil is handcrafted with 100% natural oils. Our Beard hair and body Oil hydrates your skin while keeping it elastic and velvet. Want you to know more about our new product Liquid Donkey Milk soap? Then read further. How can you use Beard hair & body Oil? ….Just put some of our Beard hair & body Oil on your hands and apply to your face, body and hair. Wash if you like after some minutes with our Liquid Donkey milk soap or our bar donkey milk soap and drain with fresh water!!! What makes the El Greco Cosmetics Beard hair & body Oil the perfect oil for Beard, hair, and Body? It’s all about the ingredients which are 100% natural!! Gardenia, or Lilac, or Lavender, or munt essential oil. It’s up to your choice!!! Each of these oils is chosen for the special characteristics that give to the Beard hair & Body Oil. These oils are carefully blended together to produce a superior handcrafted Beard hair & Body Oil. ARGAN OIL, ALOE VERA OIL, CASTOR OIL, OLIVE OIL, AVOCADO OIL, JOJOBA OIL, SWEET ALMOND OIL, GLYCERINE, VITAMIN E.
ARGAN OIL IN BEARD, HAIR & BODY OIL. Argan oil is an organic product extracted from the kernels of the argan tree, which is native to Morocco. It is extremely rich in beneficial nutrients including fatty acids and vitamin E. Its properties make it particularly beneficial for the hair and skin, which makes it a popular cosmetic choice for many celebrities. It’s not just for the rich and famous, though – anyone can reap the argan oil benefits for their body. Here are some of its most common uses. Due to its ability to tame frizz and give hair shine, argan oil is also commonly used as a styling agent. Not only does argan oil act as an effective moisturizer. It can also give to the skin a youthful glow and reduce the visibility of wrinkles. Its anti-oxidant effect makes argan oil the ideal anti-aging product. It restores elasticity and leaves skin feeling plumper and softer. ALOE VERA OIL IN GARDENIA BEARD, HAIR & BODY OIL. Aloe Vera oil gives a good effect when used on sunburn and household skin burns. This will soothe and regenerate the skin, giving it a natural cooling effect. This is also a great natural remedy to cure allergies, insect bites, irritation, itching, and swelling. Acne can be cured by a natural remedy using Aloe Vera oil. This can be used topically or internally to soften your skin and protect against infections. It can also cure eczema, acne, psoriasis, and skin ulcers. This is also applied on surgical wounds to curb infections and soften the wound. This can be helpful in the treatment of seborrheic dermatitis and genital herpes observed in men. Use Aloe Vera oil for hair regularly to prevent hair loss at a young age and to strengthen your hair. This aloe vera hair oil will give you strong, thick, clean and conditioned hair. It will help you to get rid of dry hair and enhance the blood circulation process. This will give you a healthy scalp when mixed with jojoba oil. Aloe Vera oil is a very good source of anti-oxidants that can be useful in preventing skin damage from radiation. It includes aloe-emodin to eliminate the viruses that lead to cold, sores and shingles. CASTOR OIL IN GARDENIA BEARD, HAIR & BODY OIL. Castor oil contains 85-95% of a special type of monounsaturated fatty-acids called Ricinoleic acids, and this type of fat has been scientifically proven to increase hair density in laboratory animals by stimulating the production of prostaglandin E2, which is known to promote the thickness of the hair spewing out of follicles. Castor oil is denser than most oils and it creates the visual impact of a thicker and denser beard, that in combination with its slight circulation boosting effect makes castor oil the perfect daily growth stimulating beard oil. OLIVE OIL IN GARDENIA BEARD, HAIR & BODY OIL. Olive oil has been produced and used since time memorial. Archaeological findings of ancient mortars and presses used in the olive oil extraction are as old as 5000 BC or more. Ancient Minoans used olive oil for cleansing their skin. It was also used as a base for their perfumes, scents, and ointments. The modern olive tree is said to have originated from different locations in Ancient Greece, Palestine, Syria, and Lebanon. Olive oil is a good oil which pushes out all the bad oil from deep within skin pores. It also dissolves dead cells and drives out dirt, grime, germs and pollution stuck deep within skin pores. These contaminants clog pores and cause acne, whiteheads and black heads, if they aren’t removed. Olive oil contains healthy fatty acids that lubricates and softens rough skin. It plumps up dry skin cells with moisture, keeping skin soft supple and smooth. Use 2 drops of extra virgin olive oil to moisturize your face every day. Olive oil’s nutritive benefits include nourishing the scalp with vital nutrients including antioxidants that stimulate hair growth. Olive oil is thick and helps seal hair cells with moisture, combating dry hair which is hard to untangle. Olive oil is amazingly lubricating since it contains 100 percent essential fatty acids. It is perfect for hydrating and moisturizing dry skin cells. The phenophel compounds in olive oil offer protection and repair action against skin damage through sun exposure. Antioxidants such as tocopherol exist naturally in olive oil and help repair sun-damaged skin. Rich in anti-oxidants, olive oil protects your skin cells from oxygen-stealing free radical radicals. Free radicals are responsible for degenerating healthy skin cells by stripping them off of oxygen molecules. This causes skin cells to become dull and lifeless which ends up resulting in wrinkles and fine lines. Free radicals also damage collagen and elastin which maintain the elasticity of the skin. AVOCADO OIL IN GARDENIA BEARD, HAIR & BODY OIL. The main benefits of avocado oil are to soothe and add moisture, so it won’t work as well if you have oily skin. Using avocado oil won’t leave a lot of grease behind. JOJOBA OIL IN BEARD, HAIR & BODY OIL. Jojoba oil is indeed a blessing as it is rich in important vitamins and minerals, including vitamins E and B-complex, zinc, copper, selenium, chromium, and iodine. And guess what? It suits all skin types. It is light, non-sticky, odorless, and has a long shelf life. Jojoba oil can make your skin soft and supple. It has a high amount of ceramides, which cover the skin cells and are responsible for their hydration. It gets quickly absorbed into the skin and does not leave behind any oil residue. This helps in creating a powerful barrier against moisture loss, allergens, and dust pollution. It moisturizes dry patches and restores the skin health. Jojoba oil works well on oily skin too. It is non-comedogenic and does not clog pores. Jojoba oil stops the skin from secreting more oil on its own and balances oil production. Jojoba oil can be applied not just on the face, but all over the body prior to bathing. It hydrates your body adequately, so you can safely skip using a body lotion after your bath. It is quickly and easily absorbed into the skin and promotes blood flow, which will make your skin glow. Jojoba oil works great as a serum and imparts a healthy shine to the hair. Using jojoba oil for hair growth is an excellent way to provide that extra boost. Our hair secretes sebum or oil to keep it moisturized. Many times, excess sebum is secreted by the gland, which blocks the hair follicles. This leads to hair fall and hair breakage. The rate of hair growth is also adversely affected because of the clogged follicles. SWEET ALMOND OIL IN BEARD, HAIR & BODY OIL. Sweet almond oil is full of vitamin E, vitamin A, mono-saturated fatty acids, protein, potassium, and zinc. Remember when we called the almond small yet mighty? We weren’t kidding. GLYCERIN IN BEARD, HAIR & BODY OIL. Pure vegetable glycerin is derived from plant seed oils like palm, coconut, or soy. Vegetable glycerin is a natural humectant. When used with other natural oils and ingredients, it can seal in moisture on the top layer of our skin while the other oils work their way deep into our cells to provide long-lasting moisture. Vegetable glycerin isn’t an additive that has no value. It actually helps your body attract moisture and sop up healthy ingredients. Excessive exposure to UV rays can deplete collagen levels in the skin and lead to significant skin damage. Glycerin will give you smoother looking skin without making it greasy or oily. Glycerin is a humectant – it draws moisture from the environment to keep your skin hydrated and smooth. Glycerin can also be used as a toner for the skin. It is non-greasy, and hence, it can keep your skin toned and hydrated without triggering excessive sebum production. Glycerin is a common ingredient in most of the commercially available sunscreens as it helps prevent the extensive damage otherwise caused by the UV rays. Glycerin is extremely gentle on the skin. As it is a plant-based substance, it is widely used for treating skin irritation, rashes, and itches. Dehydrated skin (due to lack of moisture in your skin or dry weather) can lose its permeability. VITAMIN E IN BEARD, HAIR & BODY OIL. GARDENIA ESSENTIAL OIL IN BEARD, HAIR & BODY OIL. Gardenia essential oil is a strong bactericidal agent, which helps make it an effective remedy for treating bacterial infections like sepsis, tetanus, and others. Gardenia essential oil is a purported aphrodisiac. It increases your passion. Gardenia essential oil exhibits anti-inflammatory properties. It is an effective remedy for treating inflammatory disorders like arthritis, ulcerative colitis, and intestinal inflammation. LAVENDER ESSENTIAL OIL IN LAVENDER BEARD, HAIR & BODY OIL. Given the obnoxious variety of environmental toxins and other pollutants, our skin is exposed to most of the time, it is not surprising to know that our skin’s health is deteriorating with each passing day. The antiseptic and anti-inflammatory properties of lavender oil again play a role here. The oil is beneficial in healing the burns, and also helps treat the scars caused by them (or scars caused by injuries). In addition, lavender oil also acts as a pain reliever. Lavender tones and makes your skin firm as it boosts circulation, thus resulting in an adequate supply of oxygen and nutrition to the skin cells. This helps in keeping the cells healthy and boosting their renewal process. Lavender can be used as a conditioner as well. Being a powerful antiseptic, lavender oil can relieve your scalp of lice, lice eggs or nits. Massaging your scalp with this oil can kill both the lice and nits. Alopecia areata is an autoimmune disease characterized by hair loss in patches. Dry scalp massage with lavender essential oil helps in treating this condition as well as ensuring significant hair growth within a few months. MUNT ESSENTIAL OIL IN BEARD, HAIR & BODY OIL. Peppermint is mostly used in topical creams which are used to address a variety of skin issues. Its soothing properties make it an effective treatment for rashes, poison oak, and poison ivy. It gives a strong healing effect to the skin. Peppermint leaves have been used widely since ages to treat oily and greasy skin. Menthol in peppermint reduces the secretion of oil from the sebaceous glands which help to get an oil-free skin naturally. Peppermint is known to balance the pH levels of the skin. This helps balance the production of excessive oils in the skin, thereby reducing overall acne and breakouts. The astringent, antiseptic and anti-inflammatory properties of peppermint help diminish the appearance of acne, blackheads, rashes, and redness of the skin. Peppermint oil acts as an effective hair tonic when mixed with other essential oils like tea tree oil, coconut oil, castor oil and even Vitamin E oil. Peppermint oil gives a tingling sensation when massaged onto the scalp which means that the oil is working at balancing the pH levels. This helps to neutralize the effect of excessive oil production. Thus it reduces the hair greasiness. This stimulates hair follicles and increases blood circulation in the scalp, promoting hair growth. Peppermint hydrates the hair follicles from within to give you smooth, shiny and soft hair. Rub a few drops of peppermint oil on your hands and smooth it through the hair. Moreover, peppermint oil is non-greasy and will leave your hair pleasantly scented. It can also be used with hair straightening tools as a hair protecting serum. LILAC ESSENTIAL OIL IN LILAC BEARD, HAIR & BODY OIL. 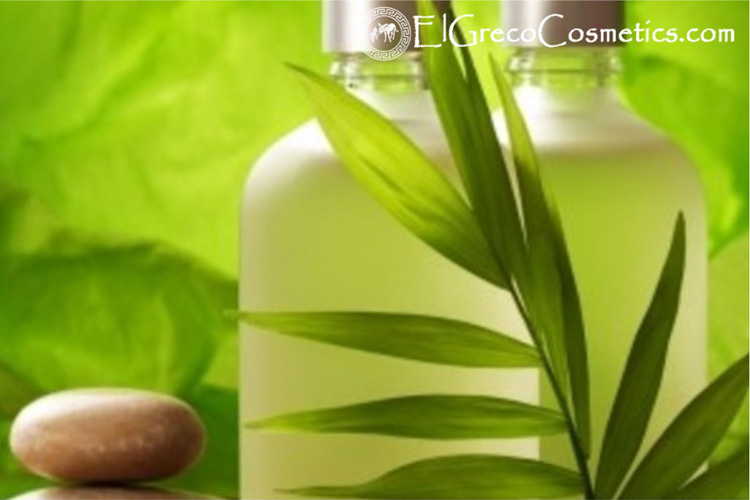 Why El Greco handmade Natural Cosmetics BEARD, HAIR & BODY OIL? We believe transparency is the only way for our customers to know they can put their confidence in El Greco handmade natural Beard, hair and body oil. Genuine organic products are clearly labeled so you can make an informed choice about the product you are buying. You can rest assured that all our products are made with 100% natural ingredients, free from parabens, sulfates, petrochemicals and synthetic colorants and fragrances. So not only they look good and smell beautiful, but more importantly are good for you! The best way to find out is to put it to the test! 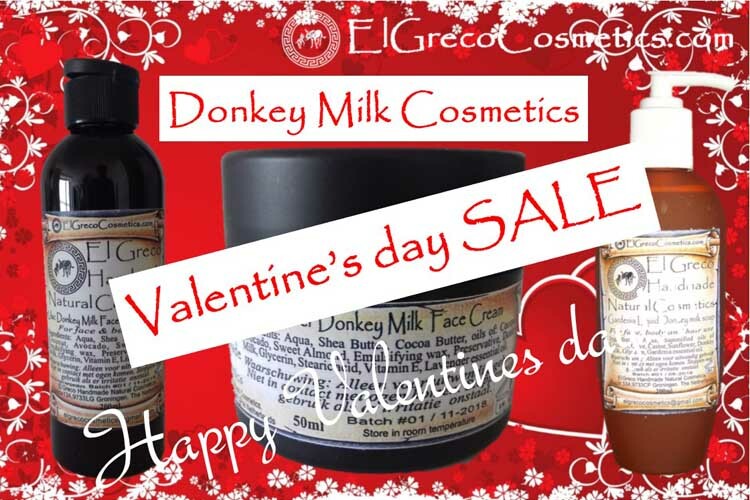 Purchase some jars of our handmade Donkey milk face cream, from our e-shop of our website and give them a try. Find out more about Beard, hair and body oil.